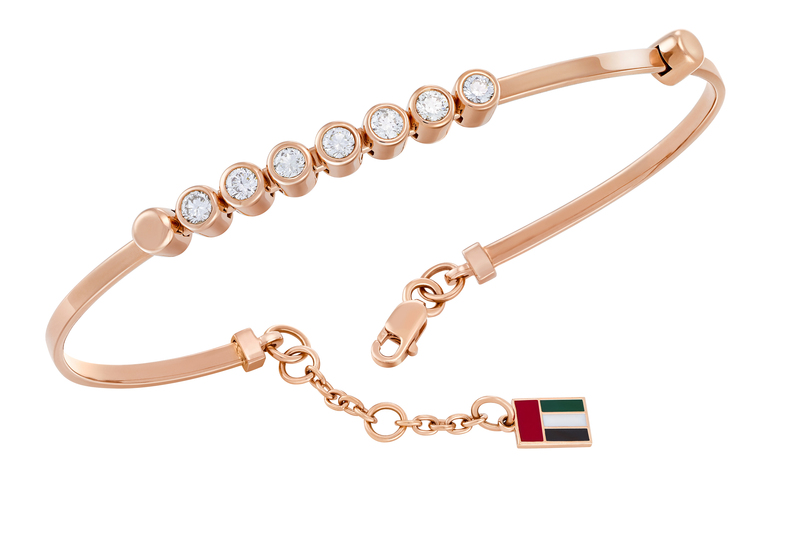 On the occasion of UAE’s 47th National Day, home grown brand Amira Jewels launches, in the spirit of the union, the exclusive, limited edition “Unity” collection celebrating and honouring the glory of the nation. The Unity collection consists of three handcrafted, one-of-a-kind designs, each reflective of a unique characteristic that defines the UAE but all a tribute to the bond that connects the seven Emirates to stand together as a single, fortified country. The three pieces of jewellery all consist of seven dazzling diamonds, each one standing for an individual Emirate. The limited edition Unity collection is be available across all three Amira jewels stores till the 2nd of December, 2018 in the UAE including the original outlet in Dubai Festival and the newly launched outlets in Marina Mall, Abu Dhabi and Manar Mall, Ras Al Khaimah. AMIRA, part of Joyalukkas Holding Inc. was launched in March 2018 with its first store in Dubai. Currently with its only store in Dubai Festival City, AMIRA caters to all the young women in the Middle East with its trendsetting pieces. The brand flaunts exquisite designs of jewellery with exclusive designs, collections and exceptional service at their Dubai store. AMIRA is also the exclusive partners for ALLOVE diamonds in the whole of Middle East.